Looking for the perfect on-the-go breakfast? 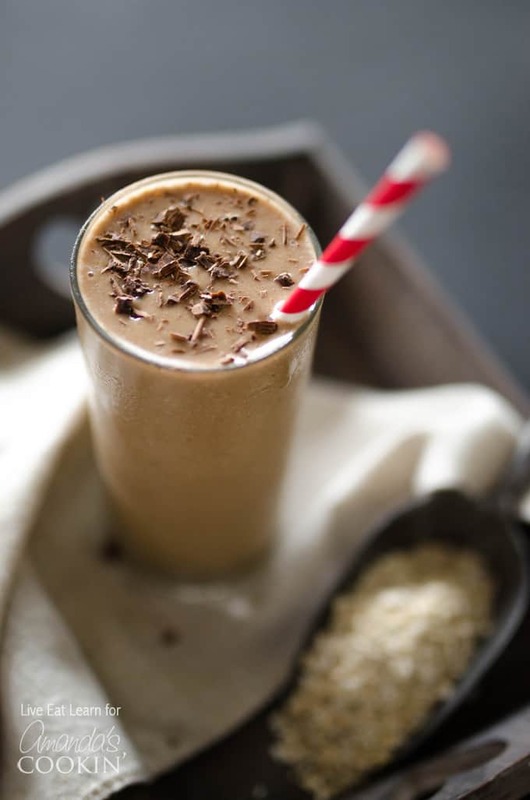 This Loaded Coffee Smoothie is a coffee lover’s dream come true. Packed with whole grains, fruit, protein, and (the best part) coffee, it has everything you need to get out the door and fully functioning in just 5 minutes! I got into the whole healthy smoothie thing a few months ago when I moved in with my boyfriend. Suddenly I was making breakfast for two with a time limit of about five minutes, and that’s when I discovered the beauty that is a smoothie. A nutritionist by trade, I like my smoothies to be healthy and energizing, but being a night owl at heart, I needed something that required little to no effort in the morning. 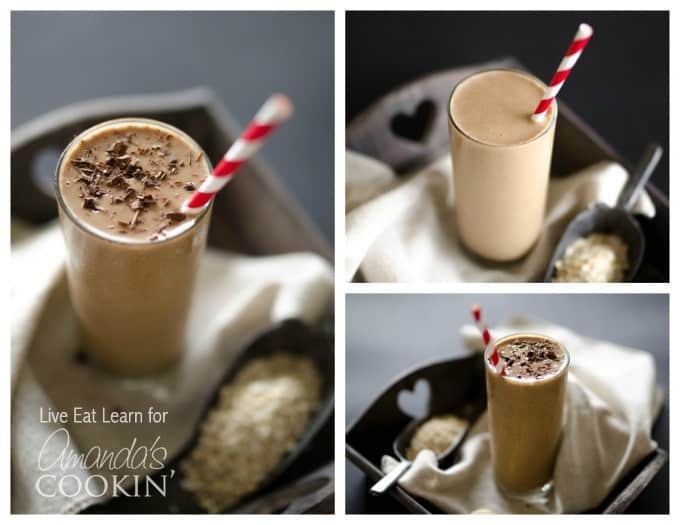 So when I came up with this Loaded Coffee Smoothie, I knew I was onto something big. You’ll also need a good blender! We use Blendtec, but there are lots of options out there. The only real forethought required for this recipe is remembering to freeze the banana and brew the coffee the night before. Peel the banana, slice it, and stick it in the freezer. This will be the creamy base to our delicious liquid breakfast. You’ll also need to brew some coffee and set it in the refrigerator to chill. Then in the morning all you have to do to make this delicious coffee smoothie is throw everything into a blender and blitz! If you’re feeling especially motivated you can throw in a spoonful of your favorite nut butter for a punch of protein and healthy fats, or sprinkle on some shaved chocolate for added decadence. 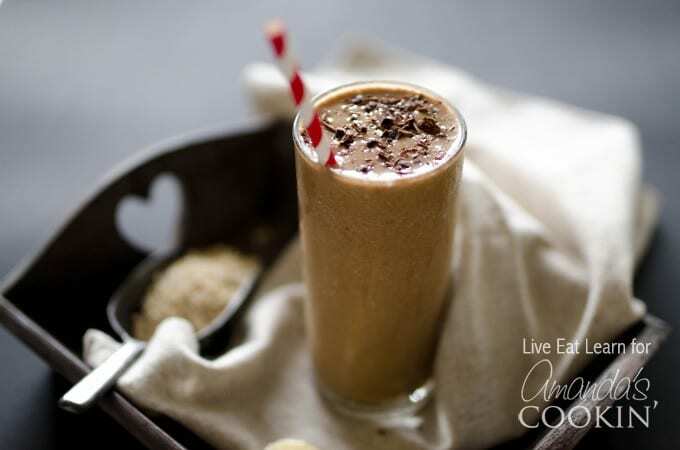 This coffee smoothie balances a deliciously sweet coffee flavor with with a powerfully filling and energizing boost, making it perfect for sipping on slow mornings or slurping down while you’re on the run! Oh, and if you’re a Starbucks fan, you might want to try these homemade mocha frappucinos! 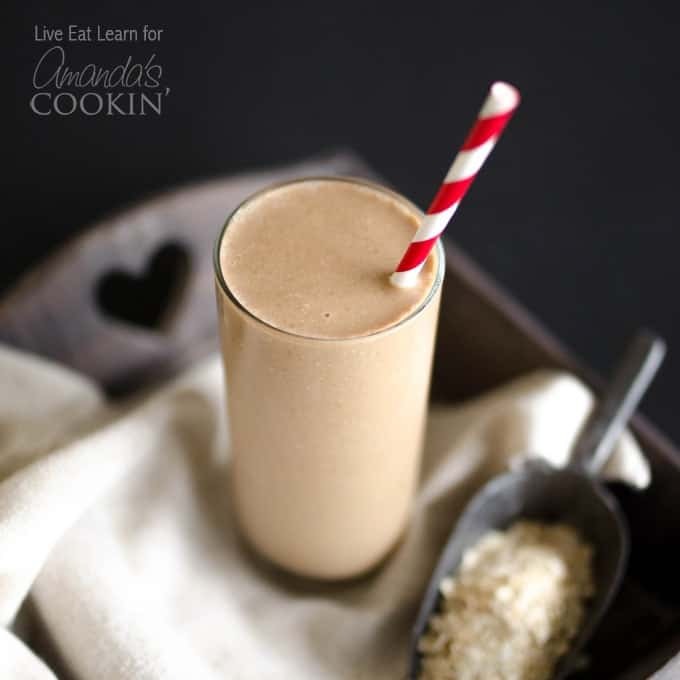 This delicious Loaded Coffee Breakfast Smoothie has everything needed to get you out the door and fully functioning in just 5 minutes! Calorie count does not include optional nut butter. Is there a substitute for the banana in the smoothie? I’m severely allergic to them and it seems every smoothie has them. Is there another option to the oats? I’m Coeliac so can’t have them in my diet? Hi Glenis. You can just leave the oats out and throw in a handful of ice if you like. There’s no need to substitute unless you have a favorite grain you’d like to try. Some options might include quinoa, buckwheat, or amaranth. But please check with your doctor before trying any grains you aren’t familiar with. 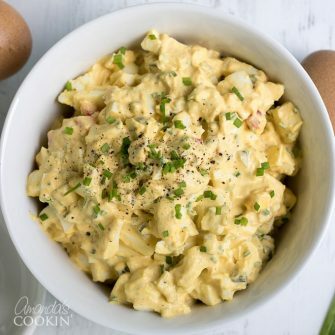 Delicious and easy to make!! For anyone who loves coffee as much as I do!! This smoothie looks amazing! It’s coffee and breakfast in one! YAY!